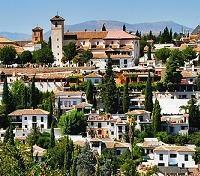 Enjoy a private guided tour of Granada’s Alhambra palace. 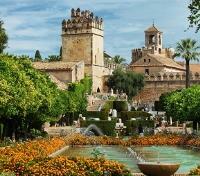 Explore the fascinating UNESCO-listed old town of Cordoba with expert guide. Learn the history of Gaudí’s famous buildings from a private guide in Barcelona. Explore the highlights of Madrid, Seville, and more with expert guides. 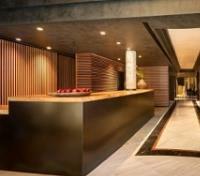 Stay at a handpicked selection of comfortable accommodations. Let the passions of Spain's history and people ignite your spirit as you take in world famous Gaudí architecture in Barcelona, tour the mystical Alhambra in Granada, explore the UNESCO-listed old town of Córdoba, and much more. Explore the best of Barcelona, Granada, Córdoba, Seville, and Madrid with expert guides. See Barcelona’s historic Gothic quarter, and visit Gaudí’s incredible masterpiece, La Sagrada Familia, in the company of a private guide. This cosmopolitan Catalonian city’s medieval roots are preserved with cutting-edge style and design. In Granada, enjoy a private tour with a local guide as you visit the UNESCO World Heritage site of Alhambra and its gardens. This medieval Arab citadel is probably the best-preserved specimen of its kind in the world. Take a private tour of the palace of Cordoba’s mosque-cathedral and UNESCO-listed old town, and tour charismatic Seville, a doorway to the past. Get to the heart of the Spanish capital, strolling past iconic museums, famous squares, and royal palace on a private walking tour of Madrid. For your added comfort, an English-speaking assistant will meet you at your hotel lobby to walk you through your welcome package documents, and assist with hotel check-in, if required. 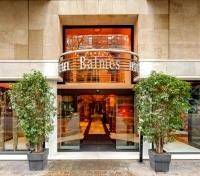 The Balmes is a modern hotel just steps away from Barcelona’s Avinguda Diagonal in the city’s Eixample neighborhood. Minutes from Passeig de Gràcia, the hotel combines its central location with the tranquility of its pool and interior garden, creating an oasis in the heart of Barcelona’s shopping district. Comfort and modernity span the hotel's 97 guestrooms and suites, with all necessary amenities to ensure a pleasant stay - including free wifi internet. The on-site Balmes Restaurant offers a wide selection of gourmet market-fresh cuisine, and the unique B Bar coffee shop provides a special environment to grab a coffee, snack or meal. Along with a private driver and guide, you'll set out on a half day city tour through the highlights of Barcelona, one of the most dynamic cities on the Mediterranean. Explore the city's essential sights and get introduced to its fascinating history and culture. You'll begin with a visit of the iconic Sagrada Familia, a UNESCO World Heritage Site, and monumental masterpiece of architecture by Antoni Gaudi. One of Barcelona's must-see sites, it's the largest unfinished Roman Catholic church in the entire world. Continue to Paseo de Gracia, an elegant avenue in the heart of Barcelona where you can see four jewels of modernist architecture: Casa Lleó Morera, Casa Amatller, and two stylized works by Gaudi; Casa Batlló and the Casa Milá (La Pedrera). You'll then admire the 4th century Roman Walls and 13th century Cathedral in the Gothic Quarter, where narrow medieval streets lead you to the world famous Las Ramblas, a tree-lined pedestrian avenue that separates the Gothic Quarter from El Raval to the west. Pass by the Columbus Monument at the old port before heading to the top of Montjuic Hill for spectacular views over the city. Board your direct flight from Barcelona to Granada. Flight duration is approximately one hour. Please note, drivers may or may not speak English, as their sole responsibility is to transfer clients from one location to another. If you would like to add an English-speaking assistant or guide on your transfer, please speak with your Travel Consultant. Meet your private guide and depart from your hotel on foot for a half-day walking tour, discovering the historical, monumental and cultural richness of Granada. Explore the city's historic neighborhoods like the Albaicín district, the one-time Moorish quarter of Granada, now a UNESCO World Heritage Site. See how this medieval Islamic city has kept its identity into the modern age, with your guide explaining its social history and character in anecdotal style. As you walk through its twisting alleyways, you'll come across stunning views of the city, the majestic Alhambra palaces and, beyond, the often snow-capped mountains of the Sierra Nevada. You will pass by churches built on the sites of mosques, stroll underneath the walls of the scented gardens of cármenes, and stop in squares to take in the slow rhythms of daily life in this most traditional and yet singular neighborhood. Next to Albaicín, stroll to the hill of Sacromonte, another typical quarter famous for its cave dwellings, Romani community, and flamenco tradition. 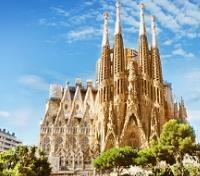 You'll also enjoy a visit to the stunning 16th century Gothic Cathedral, one of the summits of the Spanish Renaissance. The cathedral's Royal Chapel is built with a single nave, and holds the tomb of King Ferdinand, the Queen Isabella, Philip the First and Joanna the First, and Miguel, the Prince of Asturias. 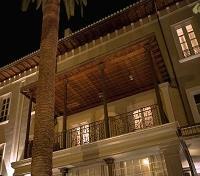 The boutique hotel Villa Oniria is housed in a 19th century manor house in downtown Granada, carefully restored according to the style and techniques of traditional Andalusian palaces. With 31 comfortable and modern rooms spanning two floors, Villa Oniria offers somewhere to escape to in every corner, such as the garden, bursting with aromatic plants and framed by two fountains which lead to a beautiful inner patio, or the on-site spa. After a day of exploration, unwind with a gastronomic experience at the hotel's chic La Fabula restaurant. Make your way to Alhambra Palace with a private driver, where a local guide will take you on a private tour of this wonderfully picturesque UNESCO World Heritage Site. 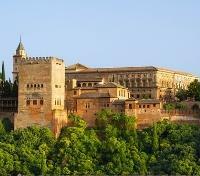 On a rocky hill, on the banks of the River Darro, protected by mountains and within the eldest quarter of the city, the Alhambra rises up like an imposing castle, with its distinctive reddish stone in its ramparts which prevent the outside world from seeing the delicate beauty enclosed within. The Alhambra ranks among the world’s finest examples of Islamic art with carved cedar, intermittent stucco work, and gorgeous mosaics. Originally designed as a military area, the Alhambra became the residence of royalty and the court of Granada in the middle of the 13th century. The complex of monuments is formed by the stunning Moorish palaces, including the Palace of King Charles V, and the Generalife, which is surrounded by orchards, tranquil pools, fountains and beautiful gardens, which you'll also visit. 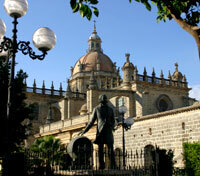 Meet your private driver and vehicle for a transfer to Cordoba. Approximate travel time is 2.5 hours. Enjoy a private walking tour with an expert local guide, setting out to explore the impressive historic and cultural monuments of Cordoba. Historically of great importance to both the Christian and Islamic powers in Europe, Cordoba was formerly a capital of the Roman Empire, and later the Umayyad Caliphate. The UNESCO organization recognized the universal importance of Cordoba's historic legacy, and extended the title of World Heritage Site not only to the city's impressive Mosque-Cathedral, but also to all the streets and buildings around it. Enjoy a visit of the Mosque-Cathedral, with sections dating back as far as the 8th century, highly regarded as one of the most accomplished Moorish complexes ever built. Your guide will take you through the flower-lined streets of the Jewish Quarter, where you'll visit the exceptional 14th century medieval Synagogue. Round out your day with a stroll through the magnificent gardens and courtyards of the royal Alcázar de los Reyes Cristianos (Castle of the Christian Monarchs), part of the UNESCO-listed city center near the Grand Mosque. 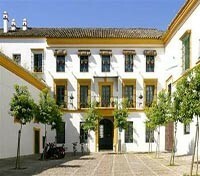 Hotel Las Casas de la Juderia is located in the heart of Cordoba's old Jewish quarter, within close proximity of the Alcázar of the Christian Monarchs, the Royal Stables, the 10th century Caliphate Baths, and the Synagogue, not to mention being just 650 feet away from Cordoba's UNESCO World Heritage-listed Mosque-Cathedral. The history and architecture of the building have been strictly respected in its restoration into a charming hotel which meets the needs of the modern traveler, including a year-round swimming pool and free wifi internet. All guestrooms in Hotel Las Casas de la Juderia are filled with original and period furnishings and decorative art, including ancient Moorish leather craftsmanship. Depart by train from Cordoba to Seville. The train ride takes approximately 1 hour. 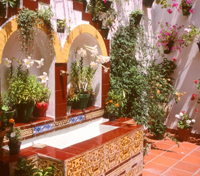 This traditional hotel in the historic centre of Seville is 100 metres from the nearest shops and Casa Pilatos, 300 metres from Barrio de Santa Cruz and two kilometres from the city’s cathedral. Hospes Las Casas del Rey de Baeza is the perfect setting to find the restorative calm. Guestrooms combine contemporary style with traditional touches, and are noteworthy for their warm designs. Guests can dine on Andalucian and Mediterranean cuisine at the Azahar Restaurant, take a swim in the outdoor pool and relax in the rooftop wellness centre, with its spa treatments, fitness room, and sauna. Meet your private guide and set out on foot for a walking tour today, visiting a pair of Seville's most outstanding monuments: Seville Cathedral, and the Seville Royal Alcazar. Begin with a stroll around Barrio de Santa Cruz, formerly the Jewish quarter, and the most picturesque and delightful part of the city, with narrow winding cobbled streets and whitewashed houses. From there, head to the Seville Royal Alcazar, a UNESCO World Heritage Site, housing different palaces of various periods, and its gardens, which evoke its Muslim past. 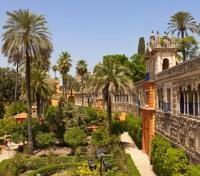 The upper levels of the Alcazar are still used by the royal family as the official Seville residence. Afterward, you’ll visit the largest Gothic cathedral in the world; the Seville Cathedral, also a UNESCO World Heritage Site, and home to the tomb of Christopher Columbus. This Roman Catholic cathedral stands on the site of the 12th century Great Mosque, of which only the minaret remains. Locally known as “La Giralda”, it was converted to the cathedral’s bell tower in the mid-13th century. Make your way independently to El Arenal Tablao Flamenco this evening, where you'll cap your day with a magical night of authentic flamenco performance, celebrating Andalusia's unique, world-renowned combination of song and dance. 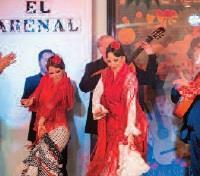 Located in Seville's traditional El Arenal district, between La Maestranza Theater and the Bullring, El Arenal Tablao Flamenco has been delighting audiences since its opening back in 1975. Relax, enjoy a drink, and watch a show with up to 17 professional artists on stage at once - bringing the mesmerizing art of flamenco to life. Depart by train from Seville to Madrid. The train ride takes approximately 3 hours. 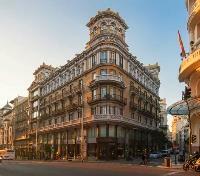 Iberostar Las Letras Gran Via is located on the buzzing Gran Via, in Madrid's city center. The hotel’s rooms are decorated in pale colors and filled with natural light to create a relaxed atmosphere, each one with a special personal touch, with quotes on the walls by famous writers and poets. The heart of the hotel is its library, where the hotel’s theme continues and its guests can quench their thirst for literature in a cozy atmosphere where they can choose from a vast potpourri of literary works. Iberostar Las Letras Gran Via will satisfy more than just your mental cravings - the innovative creations at the on-site restaurant are a delight for all the senses. 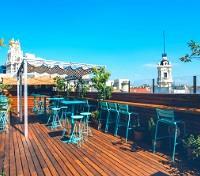 In the summer, guests can enjoy a fantastic view of Madrid from the roof top terrace Atico 11. 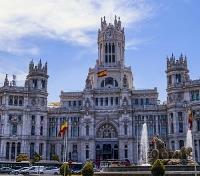 Departing with a private guide and driver, enjoy a half-day tour that will take you through Madrid's oldest quarters, tracing the legacy of the Habsburg and Bourbon dynasties. Admire the many churches, convents, inns, palaces, theaters, narrow medieval streets and traditional shops, all steeped in history that no visitor should miss. Discover the city’s key sights like the Habsburg-era Puerta del Sol, renowned as the bustling heart of Madrid since the 17th century, and Plaza Mayor, a porticoed square that will take you back to the times of swashbuckling swordsmen and medieval rogues. Scamper through the Arco and Calle Cuchilleros where you'll find centuries-old taverns dug into caves under the square, and the Plaza de la Villa with excellent examples of Spanish architecture. Marvel at the impressive Bourbon-era Royal Palace, the largest in Western Europe, as well as the Teatro Real (Madrid’s opera house), the Prado Museum, the triumphal arch, and the city’s beautiful fountains of Neptuno and Cibeles.